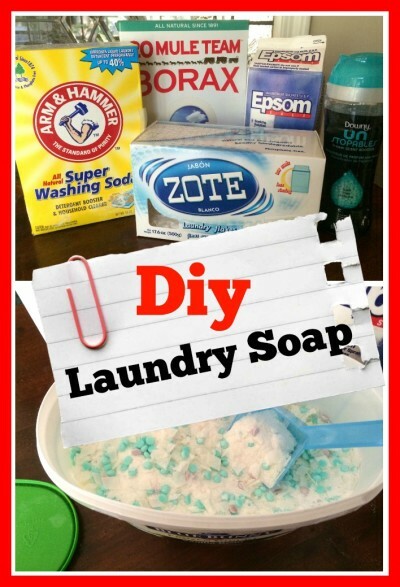 For a while I was making my own diy laundry detergent using Fels Naptha bar soap. Only problem that I had was the grating of the soap. That was hard on my hands so I stopped making it and went back to store bought. Recently I learned about Zote a soap used for making your own diy laundry detergent, which you can buy already grated. So I gave it a try, and so far I’m loving my diy laundry detergent, it cleans well, and leaves my clothes smelling so good. I still buy the store bought detergent when I run across great deals just to have on hand. Plus I love finding great deals! I poured all the ingredients into a plastic ice cream tub that I had saved (knowing that it would come in handy for something). Keep the lid on and shake before each use. 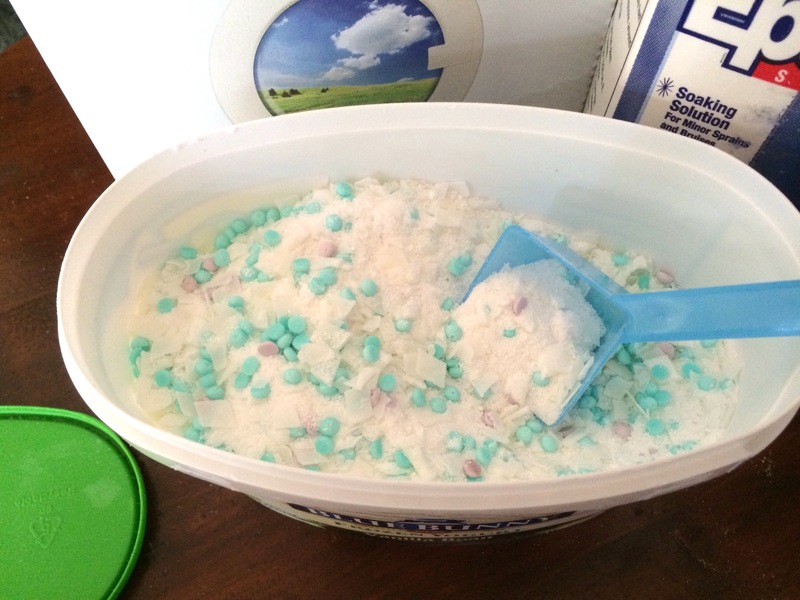 I had an extra 1oz scoop so I dropped that in the tub, and I use 1 1/2 scoops of my diy laundry detergent per load. My clothes come out clean, soft, and smelling so good. 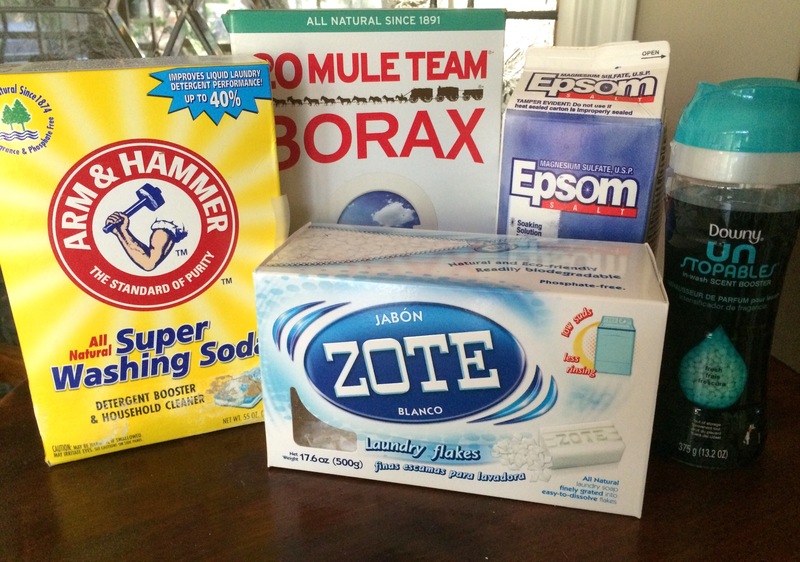 Do you make your own laundry detergent or household cleaners? This is helpful! I always make my own laundry detergent, but I didn’t know you could buy the soap already grated! That makes it so much easier! I just found out about it recently. The grating was hard on my hands that’s why I stopped making my own. I think I need to start making my own, it looks so simple! It’s a shame I can’t find Downy here, my friend uses it and I love the smell. Hi Pili! You could add the Downy Fresh Protect In-Wash Odor Shield crystals then it would smell like Downy. Thanks for stopping by!